Andrew Cook is your local Exeter Plantation Shutters expert. Just Shutters South West opened in Exeter in 2011 and has served thousands of delighted customers since. Andrew Cook, our shutter specialist has gained an unrivalled reputation for service and quality as he covers the growing demand across the South West. Andrew has worked tirelessly to be the very best and his happy customers are testament to this. Plantation Shutters are the fastest growing niche of the window coverings industry. They provide a high quality, stylish and low maintenance solution, which has become the interior designer’s window covering of choice. Originally adopted by upmarket homeowners and boutique hotels, this stylish phenomenon has spread rapidly throughout the South West. 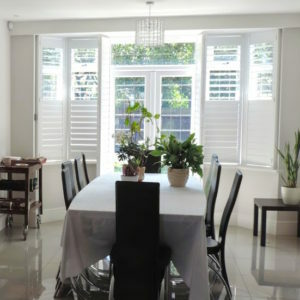 Plantation Shutters are made to measure, require no maintenance, come with a lifetime guarantee and can be fitted to any shaped door or window. In addition they offer warmth, privacy, and protection. When you add in the fact that shutters reduce heat loss, can reduce allergies and will increase a home’s value it is easy to see why they are becoming increasingly popular. But don’t be fooled, not all shutters are the same! With the expert knowledge, craftsmanship and service you can expect from Just Shutters the value lasts as long as your lifetime guarantee! 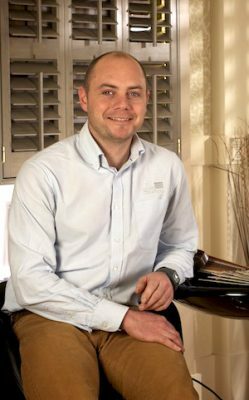 Andrew Cook is a passionate shutter specialist, he has run Just Shutters South West since 2011. Your expert in Devon and Cornwall, he has built an excellent name for himself,constantly gaining splendid reviews on checkatrade. Andrew Cook is available to give expert advice on all your shutter needs, so please call 01392 342081. – or send us a message. Here are some of our independent customer reviews from checkatrade.com – where reputation matters. Fitted shutters to windows and French doors. From start to finish an excellent service installing shutters to the front of house.